Iceland is a short 5 hour trip from New York and can offer a traveler with many other wordly natural wonders and experiences. Although, the temperatures can be cold most of the year, in the summer months, the temperatures can be as warmer than New York. 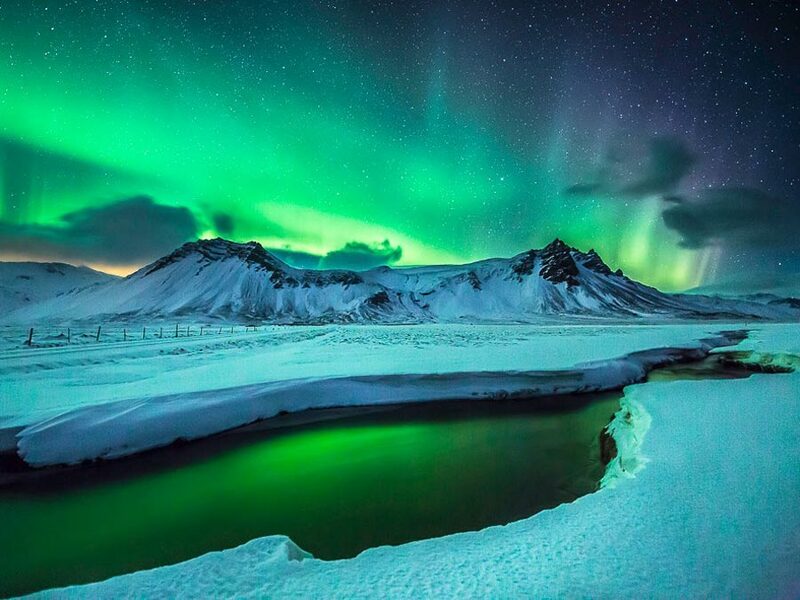 Here are 4 reasons to visit Iceland. The northern lights – The northern lights are green lights that dance on cold, clear nights. To enjoy the experience, hire a 4×4 super jeep with some warm blankets and go out to hunt for the best view. If you’d rather stay warm in the water, take and evening dip in one of the country’s many geothermal pools and watch the night sky light up. Arcanum Glacier Tours – In iceland you will find steaming geysers, drifting icebergs, black lava beaches, erupting volcanoes and much more. To get the most of the view, take a ice climbing tour or a self guided tour of Ring road. Most of the sights will just be a short 30 minute drive from one another. Architecture – Iceland offers dramatic architecture, like The Harpa. Which is a concert and conference hall, that is created with glass and it changes colour over the Reykjavik Harbor. The hall hosts many performances for iceland airwaves and the annual music festival, which included musicians like Sigur Ros, Bjork and Of Monsters and Men. The Elf School – Most icelanders believe that elves exist, but they are not so willing to discuss their believes. To learn about Elves, it is best to visit Elf School in Reykjavik. Here you can learn about the 13 types of elves from icelanders who claim they have come in contact with them.